Deciding on what planner(s) to use for the coming year is a tough decision. 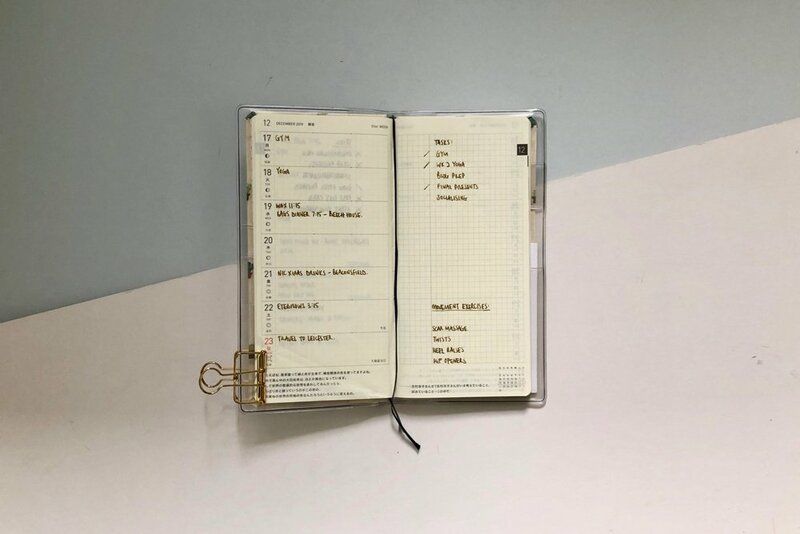 Buy a planner that doesn’t fit in with your requirements and you spend too much time trying to find a fix, but find the right planner and it can act the perfect assistant. I have a bad habit of buying too many planners. There is so much choice and variety available it can be hard to be concise with your purchases. If you read my previous post I didn't fare well with my planners in 2018 and I didn’t want to repeat those errors going into 2019. What I have learnt from this year is that my planner needs have changed. What worked before doesn't seem to hit the spot anymore. Luckily I recognised this early enough and I was able to research and figure out what changes I needed to make for 2019. 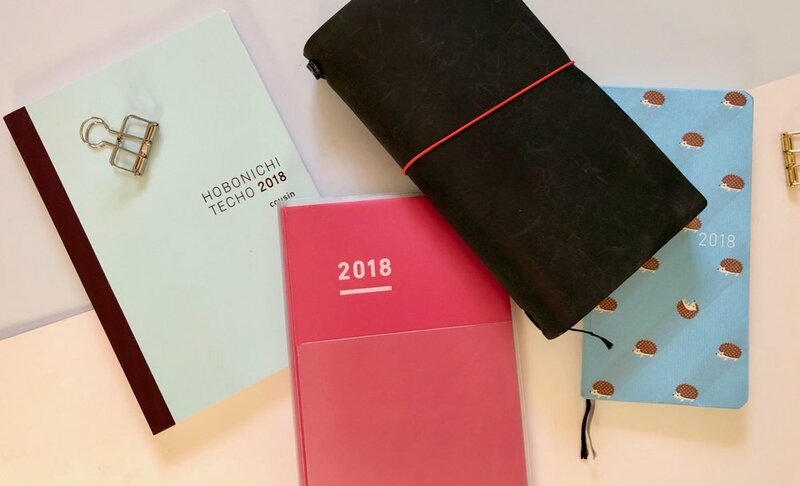 In today’s post I will share my decisions with you and how I think I will be using my planners in 2019. 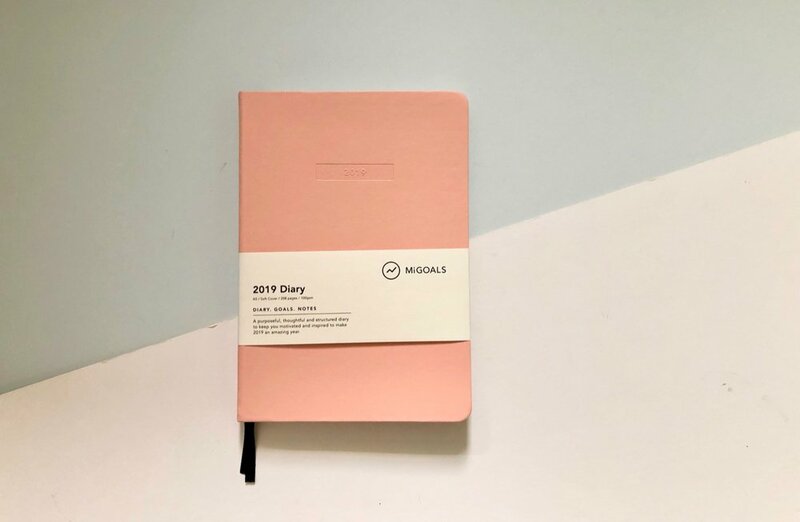 Planner 1: MiGoals 2019 Planner. I haven’t used a MiGoal product before but a couple of months ago I started digging around to understand what this planners were about. 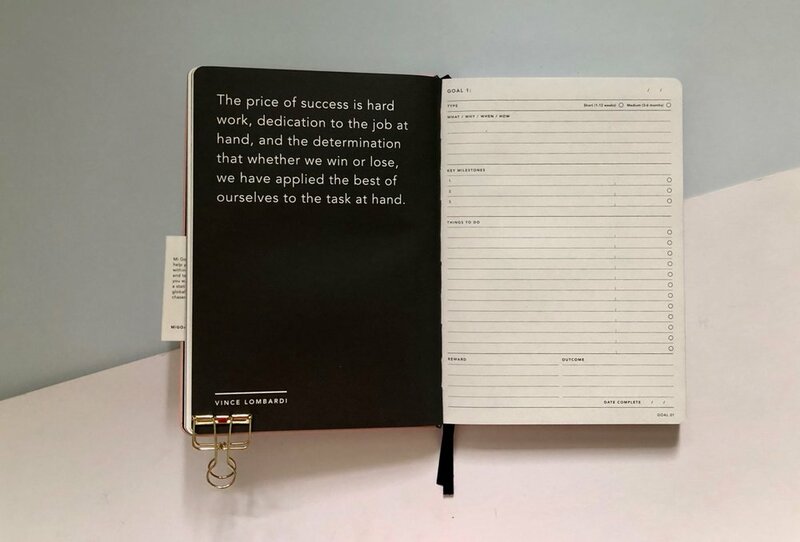 I have bought the 2019 HC Diary in Coral, drawn to the layout and how this seemingly traditional goal planner had found a way to not be stuffy. 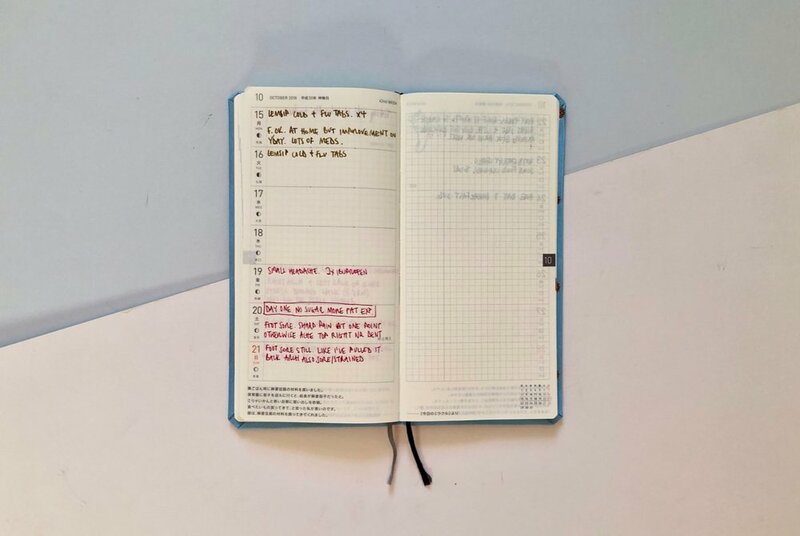 The layout of a planner is always crucial and also really personal. It comes down to how you like to see information, the way your mind interprets tasks and the types of information it’s important for you to capture. Some people like guidance from their planners, others don’t. So finding a layout that does what you need is always the most crucial aspect of your planner decisions. 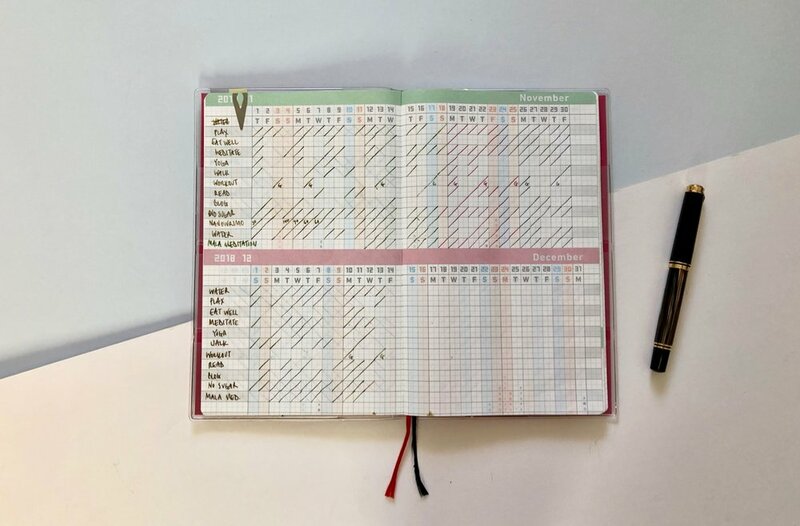 In the MiGoals planner the weekly spreads are allocated a double page, space for your weekly view sits on the left hand page and on the right there is a small habit tracker, weekly focuses and a massive notes area. I was drawn to the planners simplicity. 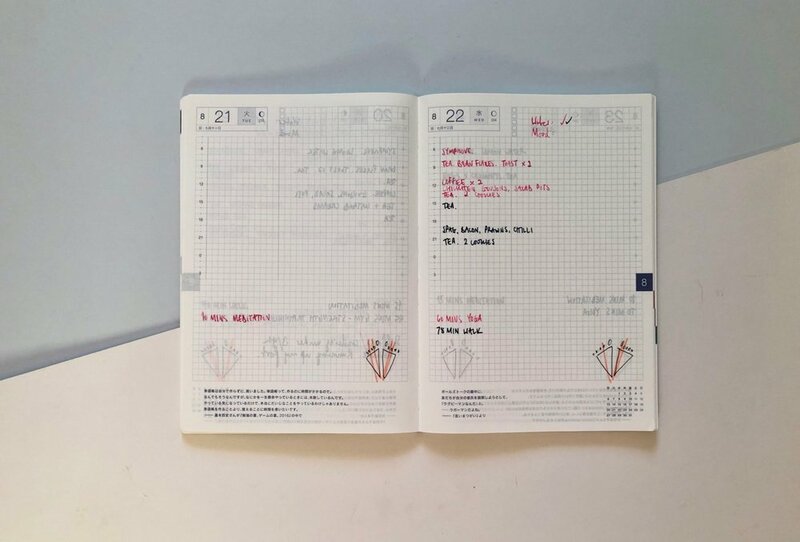 The weekly pages give you enough space to jot down those extra things that may not fit into a specific day. Each small section is clearly defined but not intrusive. 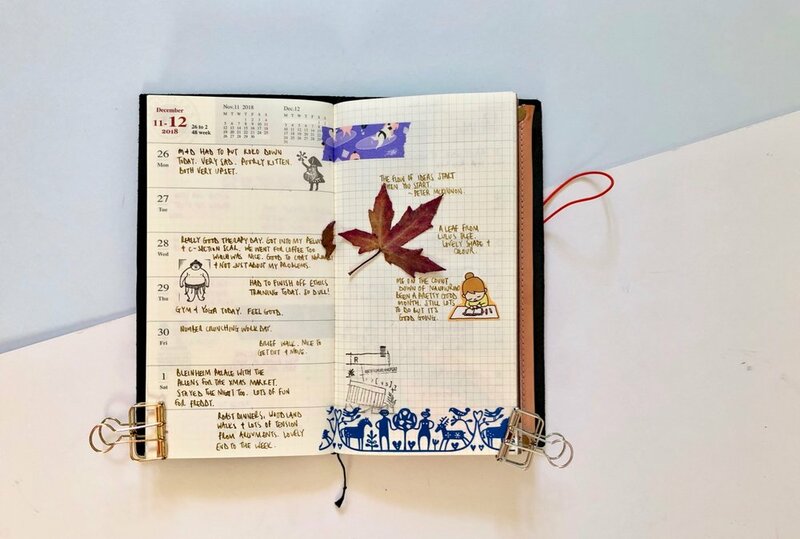 The monthly calendar is paired with the weekly spreads. So the January monthly calendar is followed by the four weeks that sit within January, then you get your February calendar, followed by February's weekly pages and so on. There is a tonne of space too with weekends getting extra room! It’s a miracle. 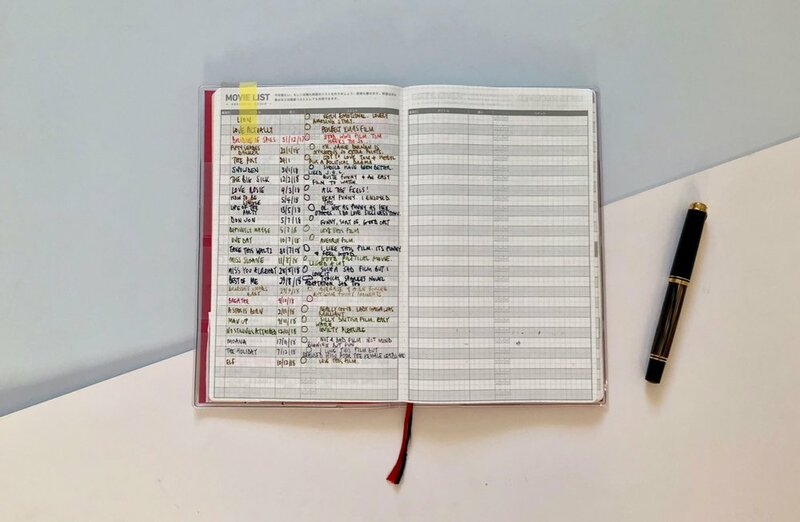 There is a small section underneath the calendar which sets out your monthly goals, a small to do list and space for some notes. The bulk of this planner is pretty standard...nothing groundbreaking but they haven’t tried to do anything too dramatic. And that’s a good thing. The thing that really drew me to this planner, a little surprisingly, was the goal planning sections. 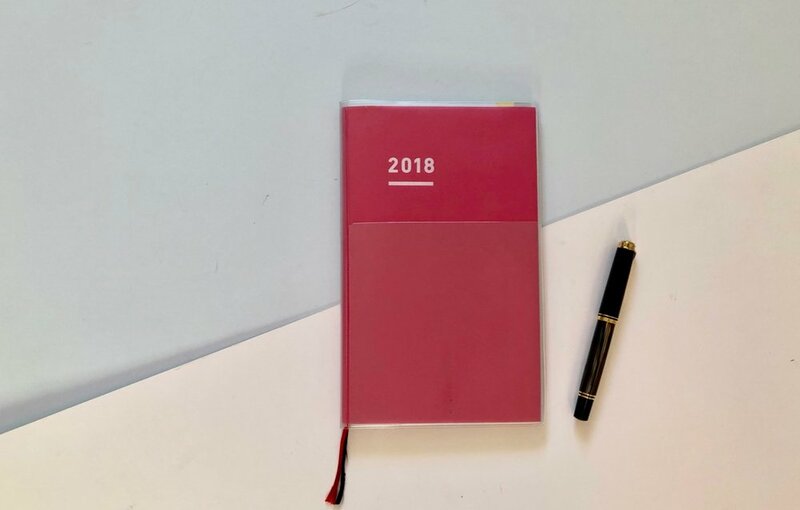 There are around 30 pages that get you into the right headspace to review 2018 and plan 2019. There are a load of inspirational quotes which isn't everyone’s cup of tea. What I like is how this planner focused my mind on what I want 2019 to be. The goal planning pages are conversational in style rather than formal and stuffy. (Although that being said they did slip in the dreaded annual, 5 and 10 year outlook section which I really don’t like.) Some of the questions included within these pages are What situations get you excited? What subjects do you enjoy learning about? What do you find easy that others don’t? A few years ago things like this would have caused my eyes to roll but actually they focused my attention. There is a Toolkit for Success spread that helps you identify who can help you achieve you goals and the things that make you happy. 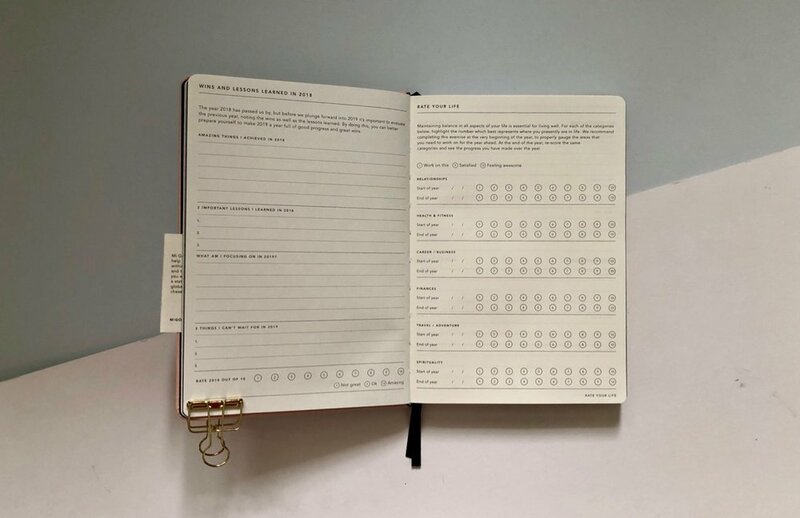 These aspects of the MiGoals planner make it feel a little bit more human, not focusing only on the aspirational goal or its success or failure, but they make you consider everything it takes to achieve a goal. There is a page where you can review 2018, things that you’re pleased with and things you want to improve and then what you want for 2019. You can then also rate your year on a series of factors and the planner has space to do this again at the end of 2019, a nice compare and contrast opportunity. The goals pages are the really interesting piece though. There are 10 in total. 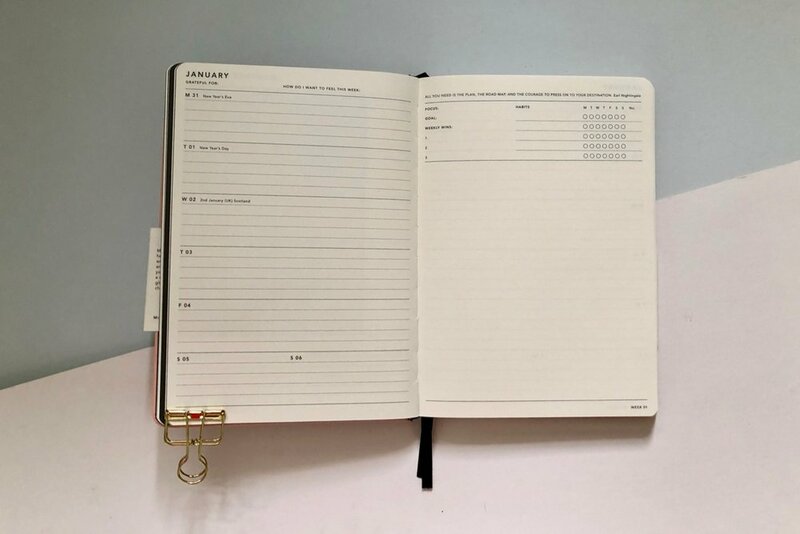 Each goal page gives you space to outline your goal, put a timeframe on it, say what sort of goal it is and why you have set yourself that goal. Then there are Key Milestones where you can highlight the things that will be big markers to achieve in that goal and a To do list. There is finally a Reward and Outcome section. All of this information is on one page making it simple to see all aspects of your goal on one page. It is in this section that you’re inundated with inspirational quotes but I think this is done on purpose. By limiting you to concentrate on one goal per double page there are no distractions, no opportunities for your eyes to wander to goal number 2. You’re there to concentrate on one goal only. It’s quite a clever little trick. I have set myself 7 goals, none of which are crazy and all are personal to me, nothing work or career related in here. The Key Milestones and To Do sections helped me to break down each goal into smaller parts which hopefully should make it a lot less overwhelming. It’s kind of like habit or project planning tool. Why I chose this planner. 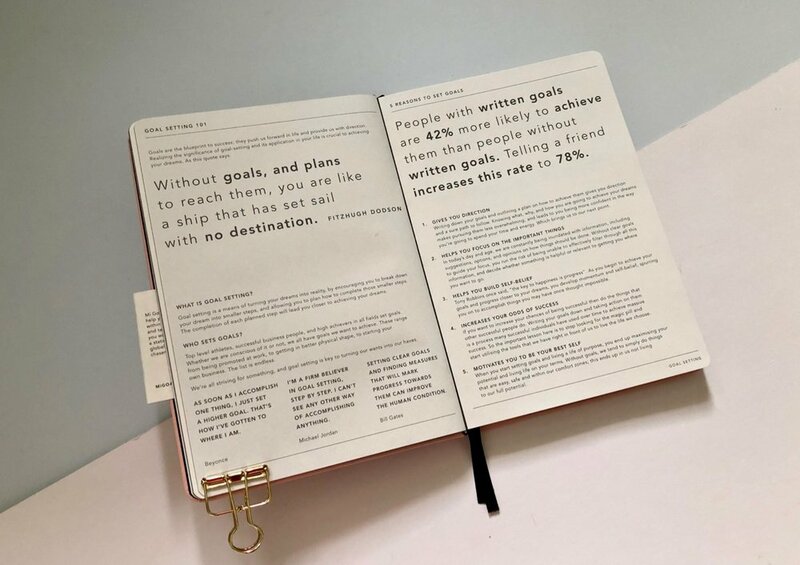 The MiGoals planner is not something I would ever have considered in the past. It would have appeared to embody everything I disliked in a planner but this year I was drawn to it because of its goal planning section. There are review sections and prompts throughout the year to guide you back to these goals and see how they are progressing. By including them in the planner itself it keeps it with you most of the time and stops these goals from becoming lost of forgotten by February. I really like the design and layout of the planner. Everything is concise and simple. I am really not fussed on the multitude of quotes in there, but the usefulness of the planner makes them easy to ignore. There are helpful guide pages to show you how to use sections, two bookmarks and decent paper. 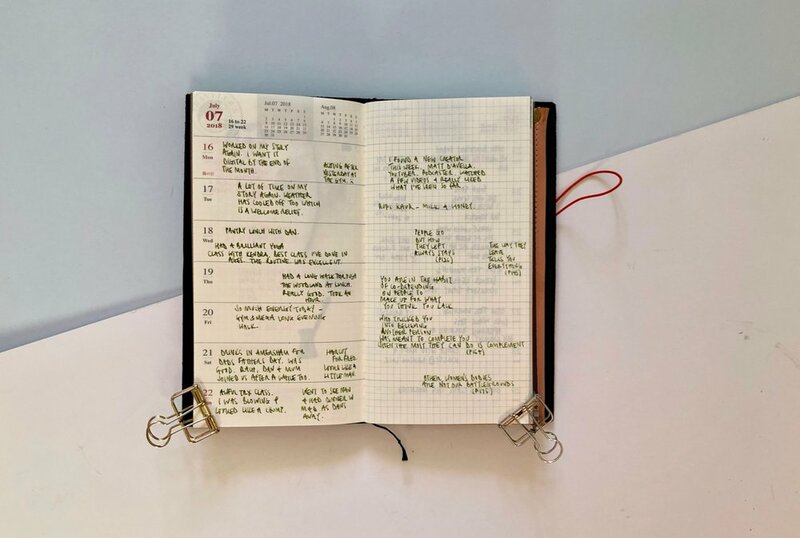 Planner 2: Baron Fig Clear Journal. 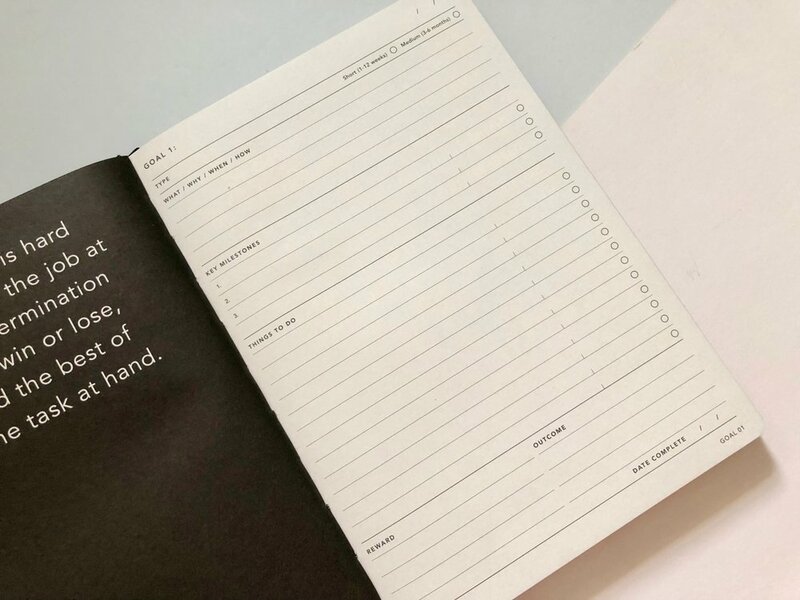 This was a journal I ordered a while back when Baron Fig announced the planner. As yet I don't have it so I cannot give a comprehensive overview. I have just finished reading James Clears Atomic Habits which was surprisingly interesting. And yes there is a theme emerging here. At the moment I aim to use this journal to track projects and personal items but until I have it in my hands....which won’t be until mid-Jan…then I cannot fully decide on how to use it. As I found a way to work with my 2018 Hobonichi Weeks I am using this again in 2019 as a diary. Co-ordinating the basic things and having this as my carry around diary. Nothing interesting in here, no decoration purely function. This was always going to be part of my 2019 set-up as I have used this for years now. It will continue to be the place I record little memories of my day and add a creative splash. 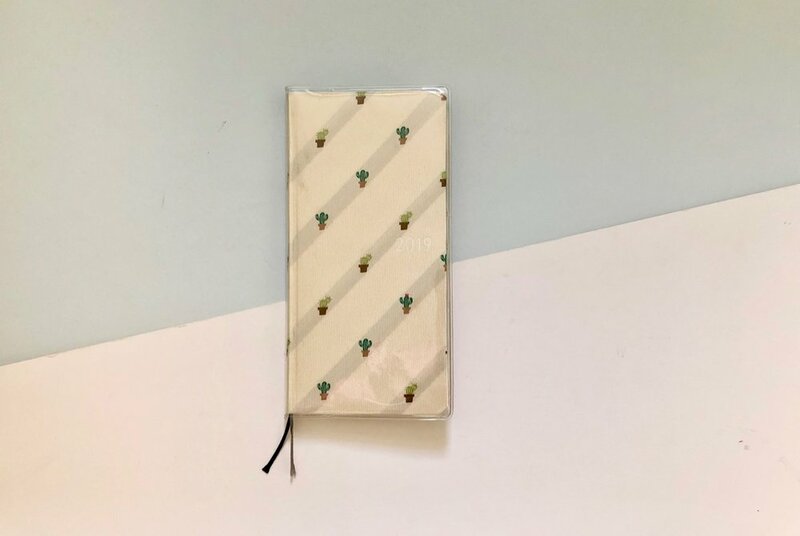 I can decorate, use stickers and washi and make this a fun and memorable journal that I will want to review because its a marker of my year. In contrast to my Hobonichi Weeks nothing functional or administrative will go in here. 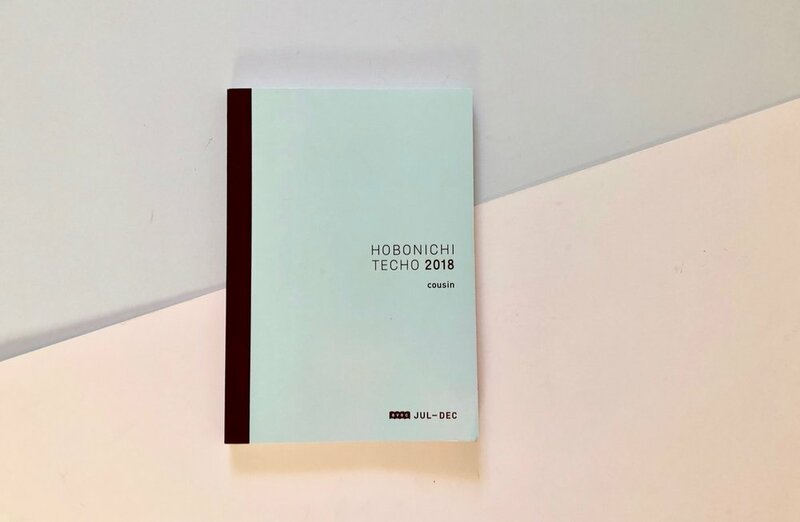 Despite the usefulness and my enjoyment of the Jibun Techo in 2018 this doesn't feature in 2019. 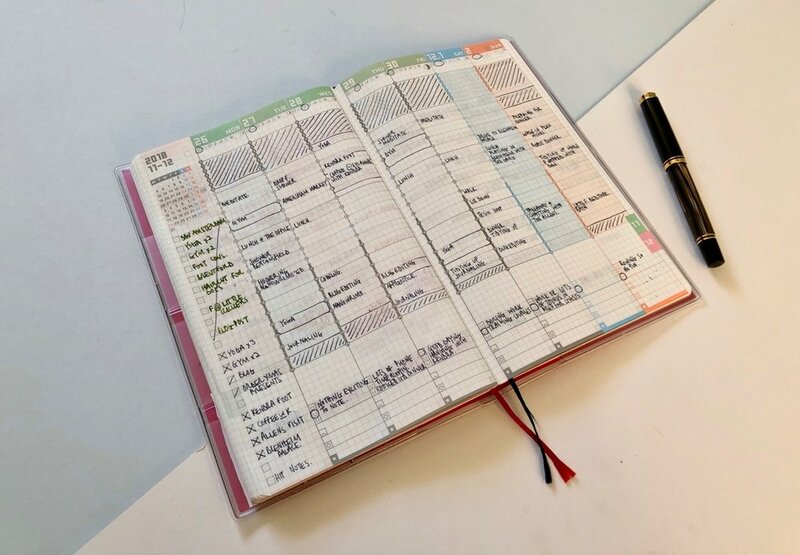 The Jibun Techo became a time tracking and organisational tool that I don’t feel motivated to use going into a new year. For 2019 I needed to become more focused with my goals and the direction I want the year to take. I started 2018 thinking about what I wanted to do for the year and gave it a theme, a la Cortex. And the theme that cropped up was the ‘Year of Me’. I think I have done quite well with that theme in 2018 but I hadn't put any detailed thought into it, I found my way and things whirred around in my head but I didn't think about how I would do this and what I wanted to achieve. 2019 is going to be a continuation of this theme because it doesn't feel complete, but now it needs structure. I believe that is where the MiGoals planner can help. As always I will share this journey here with you and when I have been using the MiGoal planner a little longer I will provide a comprehensive review of how the planner works in use but I have very high hopes.